John’s research interests span involuntary land acquisition and resettlement, livelihoods and food security, community-based conflict, and the role of corporate and organisational culture on social performance and mining impacts. Professor Owen’s current program of research is concerned with building a foundational knowledge base on resettlement and livelihood displacement in the mining and resource sectors. John is active in promoting the development and use of social data technologies as a means for improving due diligence processes surrounding mining and mine-related activities. John Owen is a Professorial Research Fellow at the Centre for Social Responsibility in Mining at UQ’s Sustainable Minerals Institute (SMI). John is an editorial board member for Resources Policy, Corporate Social Responsibility and Environmental Management and The Extractives Industries and Society. He is also a member of the Society of Business Ethics, the Project Management Institute, and the International Association for Business and Society. Issues, causes and effects associated with displacement and resettlement in the global mining industry. The place of "social" processes, systems, risks and events within mining complexes. John’s work on mining induced displacement is supported by over a decade of community-level practice and policy development in the area of forced migration and resettlement with refugee communities in Australia. He has served as an advisor to companies, lenders, governments, NGOs and bilateral agencies on resettlement issues stemming from conflict, natural disasters and resource development. John’s project work has involved providing both short and longer term strategic advice and support to companies such as BHP, Anglo American, Newcrest, Xstrata, Newmont, MMG, and Teck; and in addition, has lead or supported projects in Australia, Papua New Guinea, Solomon Islands, Samoa, Indonesia, Malaysia, Thailand, Laos, Vietnam, Mongolia, South Africa, Ghana, and Peru. 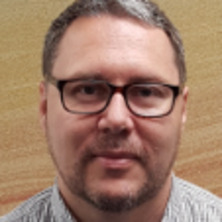 John is a lead investigator on a large UQ-Industry funded research collaboration which is actively developing resources to improve research, policy and practice outcomes in the area of mining and resettlement. The UQ-Industry Mining and Resettlement Consortium collaborates with researchers from the University of Nottingham and the University of Surrey, in addition to senior industry professionals from Rio Tinto, Newmont, Newcrest, Anglo American, MMG and Barrick. The policy implications of labour market integration in the ASEAN sub-region. Long Term research project looking at patterns in the formation and management of riots. Owen, John A history of the moral economy: Markets, custom and the philosophy of popular entitlement. North Melbourne: Australian Scholarly Publishing, 2009. Owen, John and Hawkes, Gail Ageing and the prevention of falls and injuries: A study for NSW health (Injury Prevention Unit). Australia: Centre for Applied Research in Social Science, UNE, 2007. Karger, Howard, Owen, John and van de Graaff, Shashi (2014). Governance and disaster management: the governmental and community response to Hurricane Katrina and the Victorian bushfires. In Chathapuram S Ramanathan and Subhabrata Dutta (Ed. ), Governance, Development, and Social Work (pp. 143-161) New York, NY, USA: Routledge. Owen, John R. and Khavapour, Freidoon (2008). Writing from the coalface: Introducing the narrative of practice. In John R. Owen and Freidoon Khavarpour (Ed. ), Voices from the coalface: Practioners perspectives about the nature and challenges of community-based work (pp. x-x) Altona, Vic., Australia: Common Ground. Karger, Howard, Owen, John and van de Graaff, Shashi (2012) Governance and disaster management: the governmental and community response to Hurricane Katrina and the Victorian Bushfires. Social Development Issues, 34 3: 30-44. Westoby, Peter, Hope-Simpson, Grace and Owen, John (2009) Stability without strangling: The ongoing story of the community initiatives resource association, 2003-2008. New Community Quarterly, 7 2: 21-25. What does the history of economic thought have to do with community? Owen, John (2008) What does the history of economic thought have to do with community?. New Community Quarterly, 6 3: 24-27. Owen, John Robert (2007) The moral dynamics of riots in contemporary Australia. Current Issues in Criminal Justice, 19 1: 106-119. Owen, John (2006) Moral indignation, criminality, and the rioting crowd in Macquarie Fields [Macquarie Fields riots (2005)]. Current Issues in Criminal Justice, 18 1: 5-19. Owen, John R and Owen, Santi (2006) Domestic violence and `Rough Music': A case for community-based intervention. British Journal of of Community Justice, 4 2: 9-22. Owen, John Robert (2005) Rioters and moral indignation. Arena Magazine, 80 Dec 2005-Jan 2006: 12-13. Owen, John Robert and Karger, H. (2009). Community Development and Capitalism in an Economic Meltdown. In: Community Economies and Dialogue Conference, Brisbane, Australia, (). 17 - 20 June 2009. Owen, John R. (2008). Reclaiming common wealth: Community economic development , Griffith University. In: Griffith University Community Development Seminar Series, Brisbane, Australia, (). 4 June 2008. Owen, J. and Khavarpour, F. (2006). Maximising opportunities and minimising threats: Is there a place for minorities in the 'risk society'. In: Community Development in a 'Global Risk Society', Melbourne, Australia, (). 20-22 April, 2006. Owen, J. R. (2005). The moral economy as a radical proposal. In: Perspectives in Moral Economy: An International Conference, Lancaster, U.K., (). August, 2005.